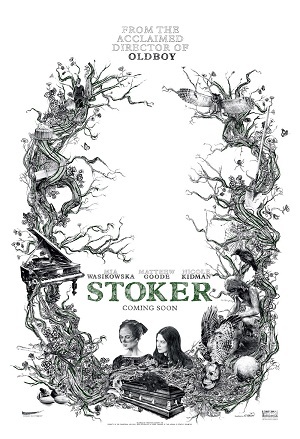 “Stoker” starring Nicole Kidman, Mia Wasikowska, Dermot Mulroney and Matthew Goode is about a girl named India Stoker who treads on perilous grounds as she gets infatuated with a man whom she barely knows. If you didn't know, the script was written by Wentworth Miller - yep Mr. Prison Break himself. India Stoker (Mia Wasikowska) is left with her emotionally unstable mother Evie (Nicole Kidman) when her father and best friend Richard (Dermot Mulroney) die in a car accident. Unconsciously, the misery within her is slowly being replaced by an increased infatuation to a man who claims to be her Uncle Charlie (Matthew Goode). When Charlie moves in to live with them, the void left by her father has been filled by her uncle. But soon, Evie realizes that the man they treated as family may have hideous motives in the end. Check out the trailer of “Stoker” trailer after the break.